The Thundering Herd earned a bowl bid thanks to a defense that is giving up just 336.9 yards per game (No. 3 in C-USA), 4.77 yards per play (No. 2 in C-USA) and 22 points per game (No. 3 in C-USA). Redshirt freshman quarterback Isaiah Green threw 10 picks and completed 55.7 percent of his passes in his first season as the starting quarterback. The offense racked up just 384.5 yards per game with Green as the leader. The Thundering Herd won three straight games prior to falling to Virginia Tech on Dec. 1 in a make-up game stemming from the cancellation of a game vs. South Carolina in September so the team was getting better as the season went along. Marshall enters this game as the winner of its last six bowl games, including all five with coach Doc Holliday at the helm. Key Player: QB Isiah Green struggled at times and as mentioned threw for 10 interceptions. He has thrown for He will need to keep the turnovers at a very minimum for the Thundering Herd in this game. 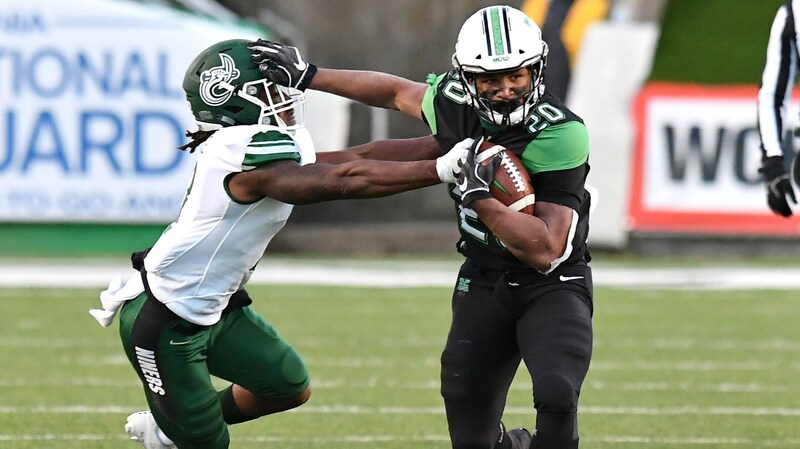 Fantasy Bonus Baby: RB Brenden Knox has taken the Marshall backfield by storm since logging his first carries for the Herd just a month ago. In the loss to Virginia Tech, Knox finished with 204 yards and two touchdowns while breaking several big gains against an ACC defense. Look for him to have a big game in this game too. The Bulls will be playing in their home stadium in this game so that should be an advantage. Another advantage they hope will be having quarterback Blake Barnett back for this game. 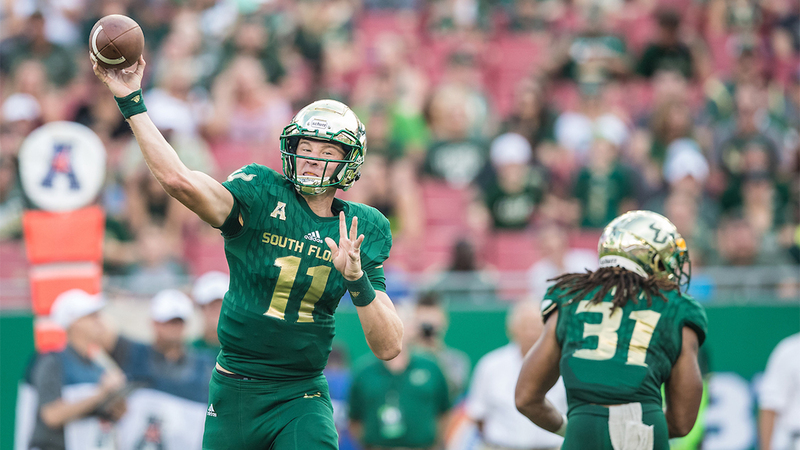 His inclusion would give the Bulls a quarterback who is in the top 25 nationally in passing yards per game while also offering a veteran presence that has proven a knack for the big moment with three double-digit comeback wins. The Bulls without Barnett have struggled. USF won its first seven games but then has lost its last five without its star signal caller. USF has lost to Houston, Tulane, Cincinnati, Temple and UCF to end the year. All five of those teams are going to bowl games but still this team is not coming into this game with any kind of momentum. Key Player: QB Blake Barnett playing will be the key for the Bulls. As mentioned, this is a different team with him in the line-up. Barnett (shoulder/ankle injuries) remains iffy at best, and the Bulls — who have averaged fewer than 20 points during their five-game losing streak. If he can’t go, it will be Chris Oladokun under center, who threw for 267 yards and three scores in relief. Fantasy Bonus Baby: RB Jordan Cronkrite is USF’s leading rusher with 173 carries for 1,095 yards and nine touchdowns. He teams with Johnny Ford to form a potent rushing combination. Ford is averaging over seven yards a carry and has scored eight touchdowns. USF is far better running the ball than it is passing the ball especially without Barnett, so look for Cronkrite and Ford to be the best fantasy plays from the Bulls.